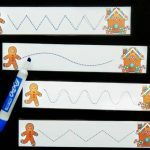 As we enter the season of gingerbread men and Christmas trees all around, I am having fun pulling out our fun and festive learning activities. 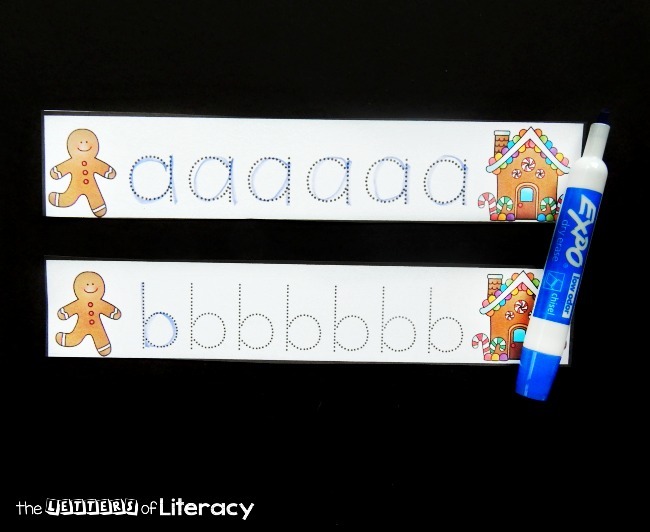 Gingerbread is one of my favorite themes, and after how much fun we had with our gingerbread pre-writing strips, I knew these gingerbread letter tracing strips would be a hit too. 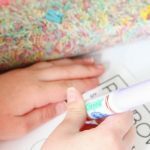 Grab your little writer and get ready for some alphabet tracing fun! 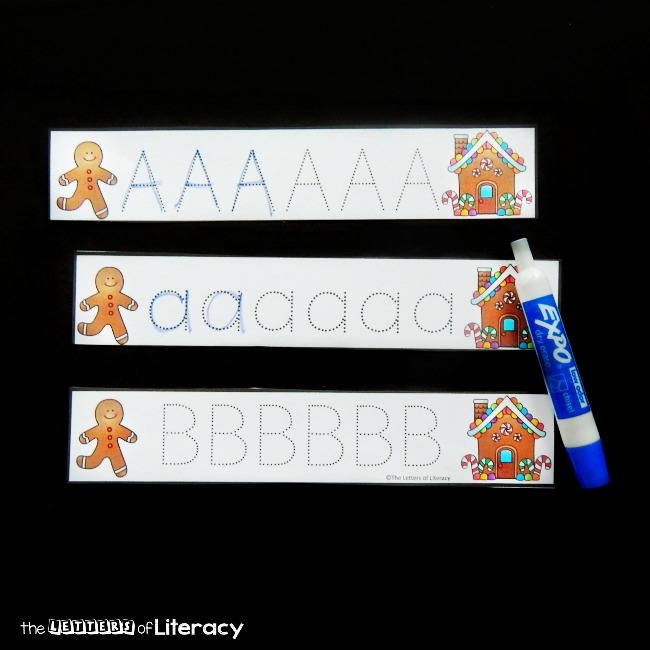 After you decide which letters you want to practice (both upper and lowercase are included), print them out on cardstock and laminate them to keep them sturdy. 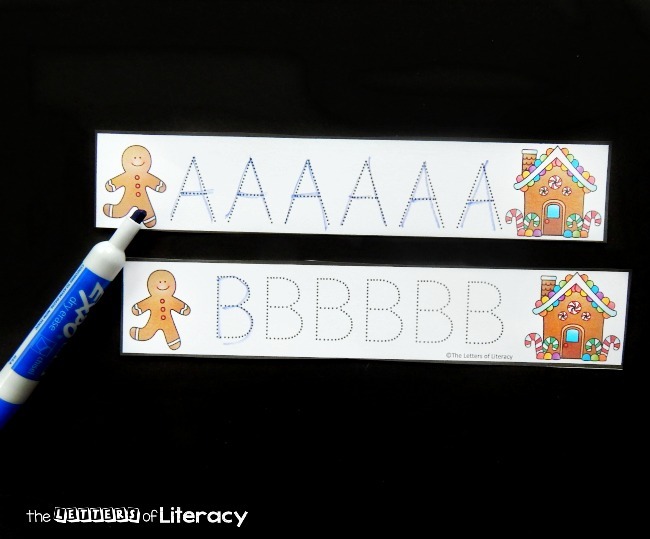 Then, grab a dry erase marker and get ready to practice letter formation! 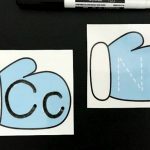 We used regular dry erase markers, but if your writer is ready for a more pencil-like feel, you can grab skinny dry-erase markers and use them instead. 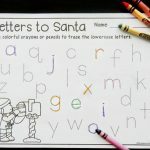 For very early writers, you may find that they have an easier time with uppercase letters, as they consist of more straight lines and larger curves than lowercase. 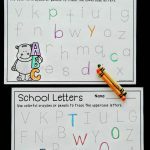 I typically introduce both simultaneously however, and let kids explore all letters. For my students who have had exposure to all letters, I place these in a basket with markers and they work on any letters of their choice. 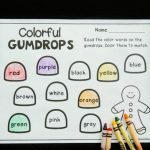 Depending on your children, you may choose to have only a few letters out at a time, or print multiple copies of the same page if you want to focus on just a few that you are learning. 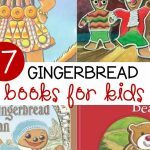 Check out our favorite gingerbread books here! 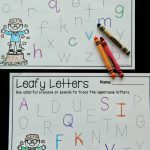 Ready to trace some letters? 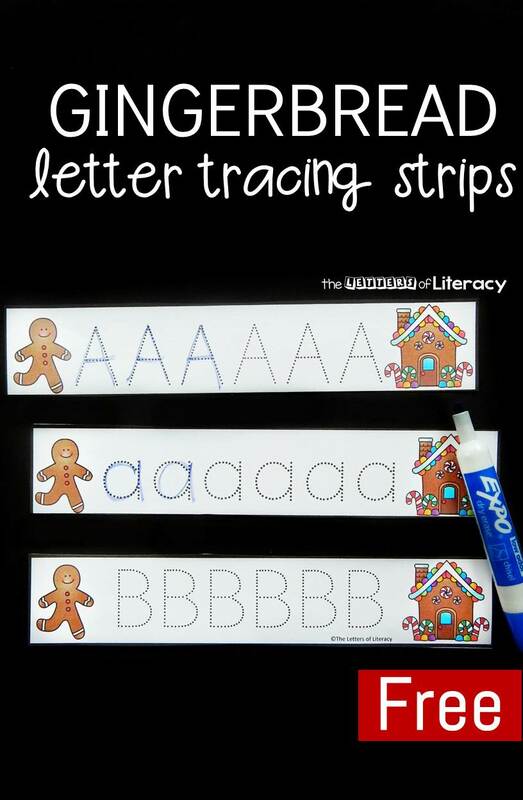 Grab your copy of the gingerbread letter tracing strips by clicking the blue button at the end of the post. 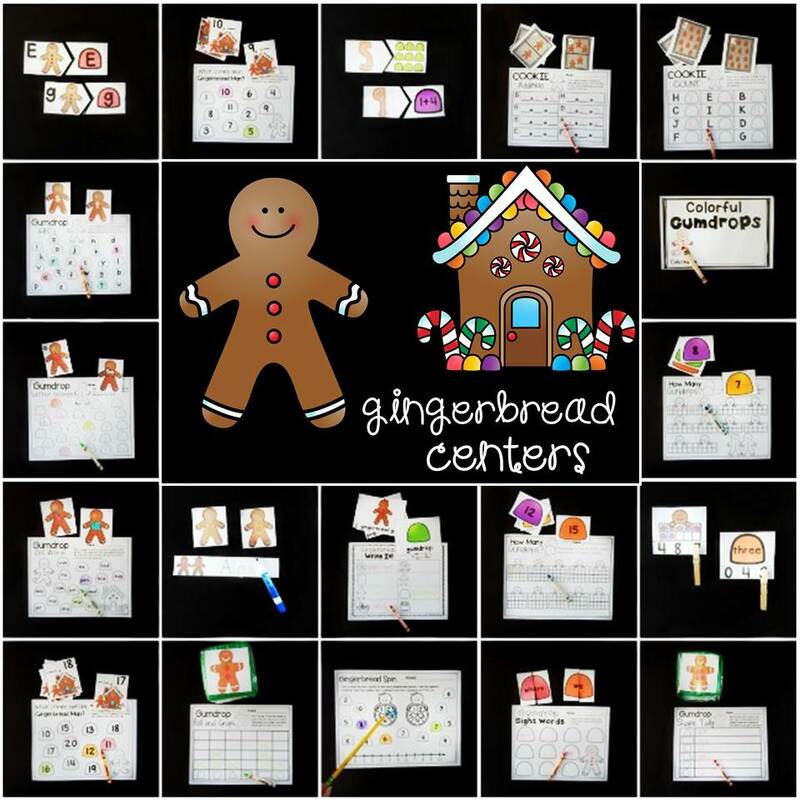 Then, for tons of Pre-K and Kindergarten Gingerbread fun, hop over and grab 22 super fun and festive Gingerbread Math and Literacy Centers!